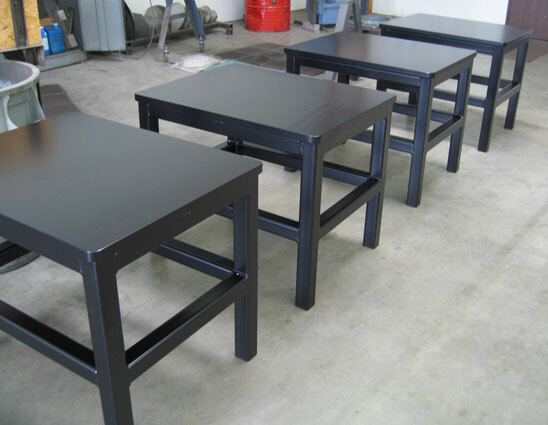 We manufacture welded steel table frames made of 2" and 2.5" square tubing with 3/16" wall thickness and 3/4" - 2" thick blanchard ground steel table tops. 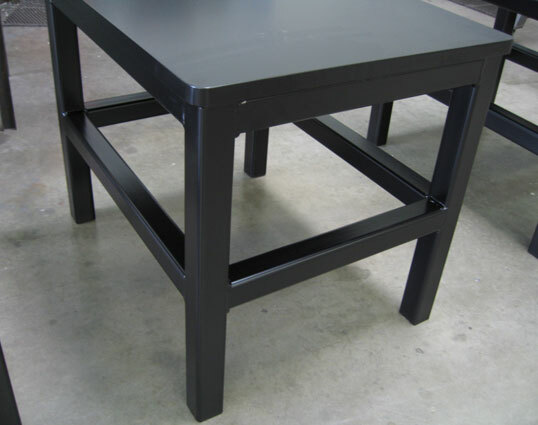 All tables come with 5/8-11 threaded feet to provide height adjustment of +/- 1.0"
Powder coating of the table is a standard option due to its durability and ease of care. 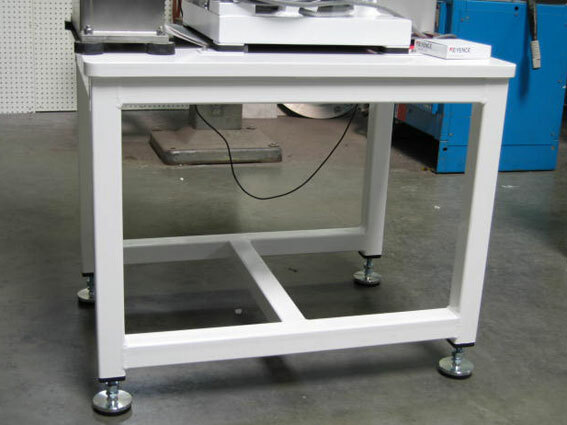 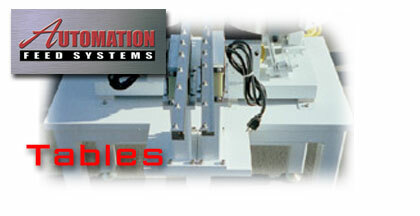 Feed systems come mounted on the table top with all the feed system components aligned and debugged to insure reliable feeding and parts transfer. 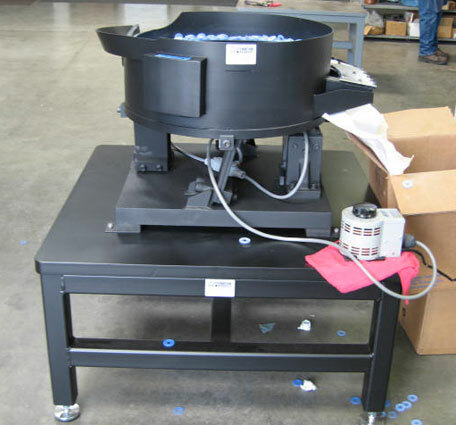 Aluminum table tops are not recommended for vibratory feed systems due to too much transfer of vibration thru the table top thus making the feeder bowl and track far less reliable and effective.